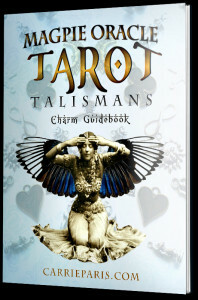 Download the free Tarot Talismans study guide here. 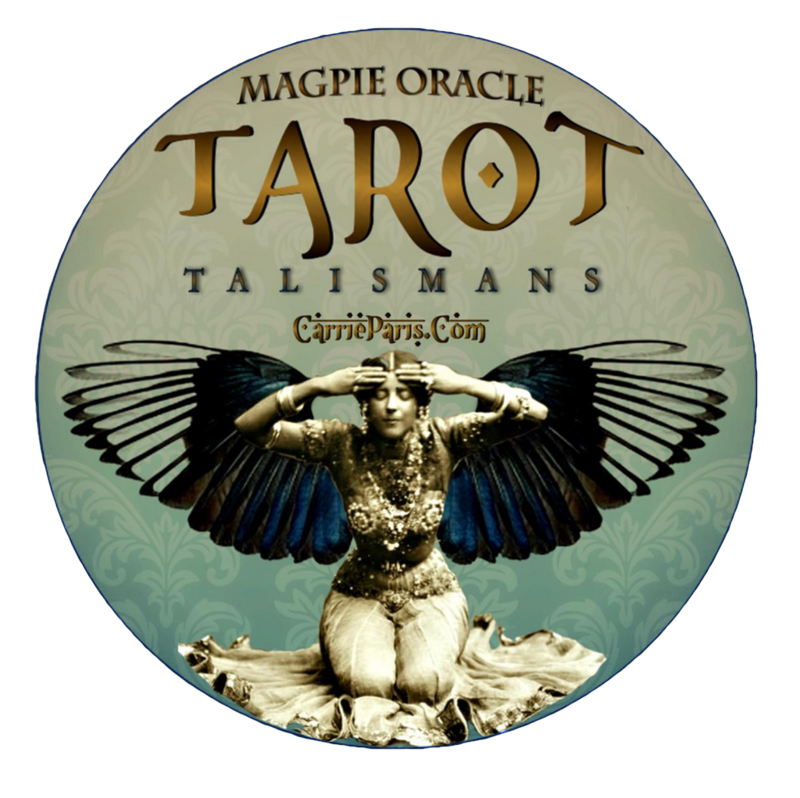 Tarot Talismans, the latest casting creation from Carrie Paris’ Magpie Oracle collection, gives Tarot enthusiasts a familiar tool with a shiny new twist. 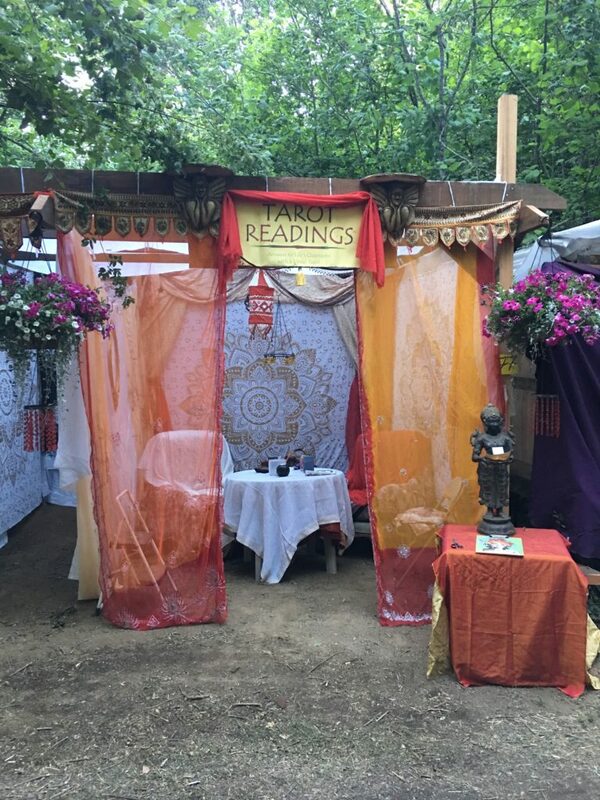 Discover just how easy it is to give accurate readings by casting the symbols housed in the tarot. 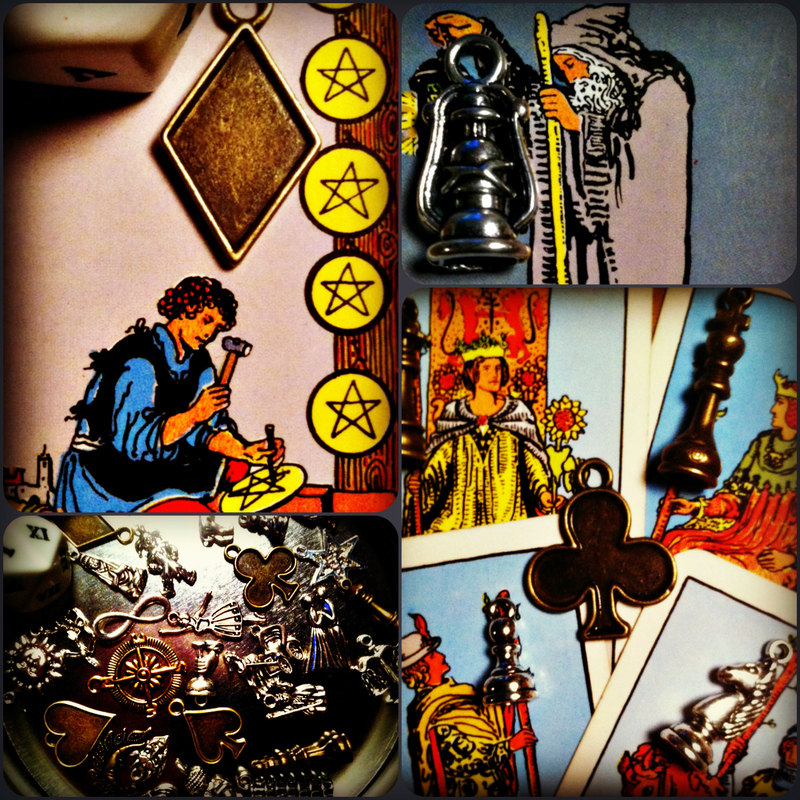 Inside each kit you will find 22 metal casting charms clearly matching the Tarot’s Major Arcana. 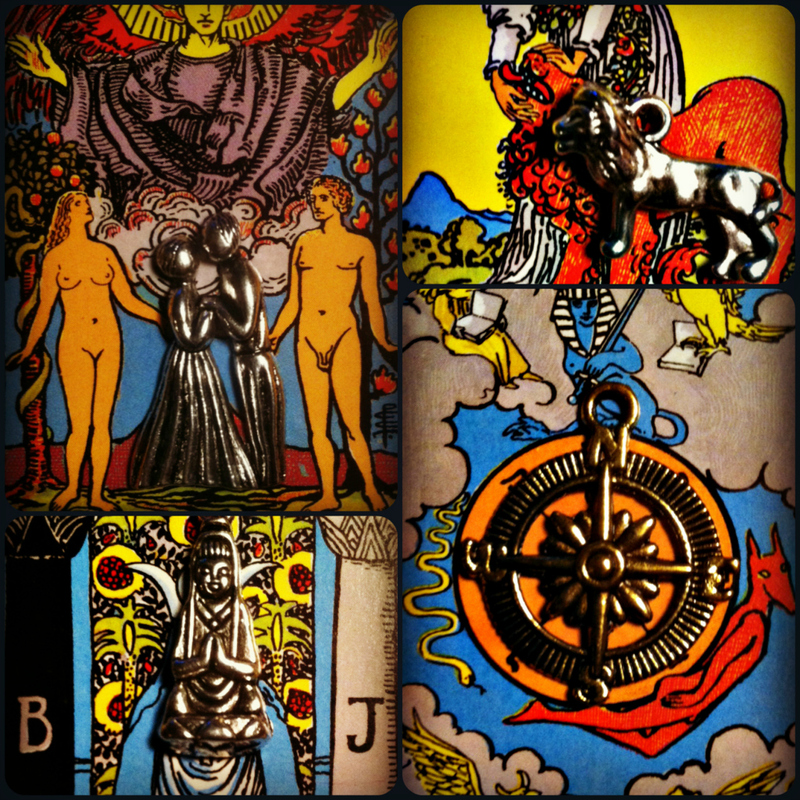 The Court Cards are identified by their pairing with metal Chess pieces, while the four suits are represented by a metal Cup, Pentacle, Sword and Branch (for Wands). 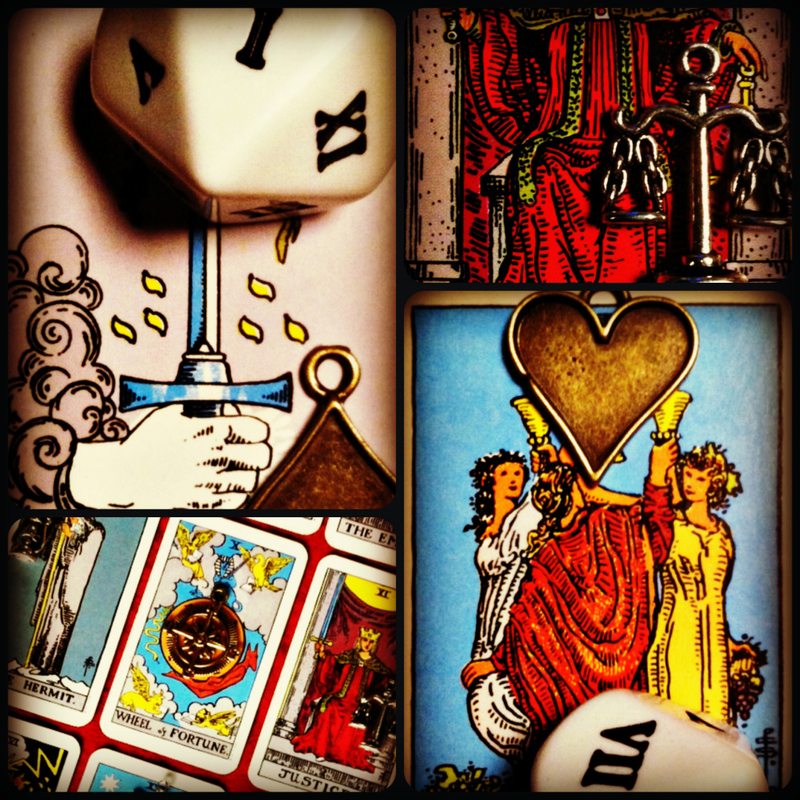 The Minor Arcana’s Ace through 10 are divined with a beautiful 10 sided Roman numeral die. 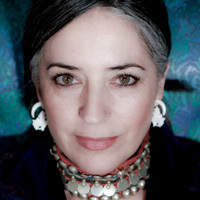 Tarot Talismans come nested in a black tin. Try one for yourself– you’ll be glad you did!